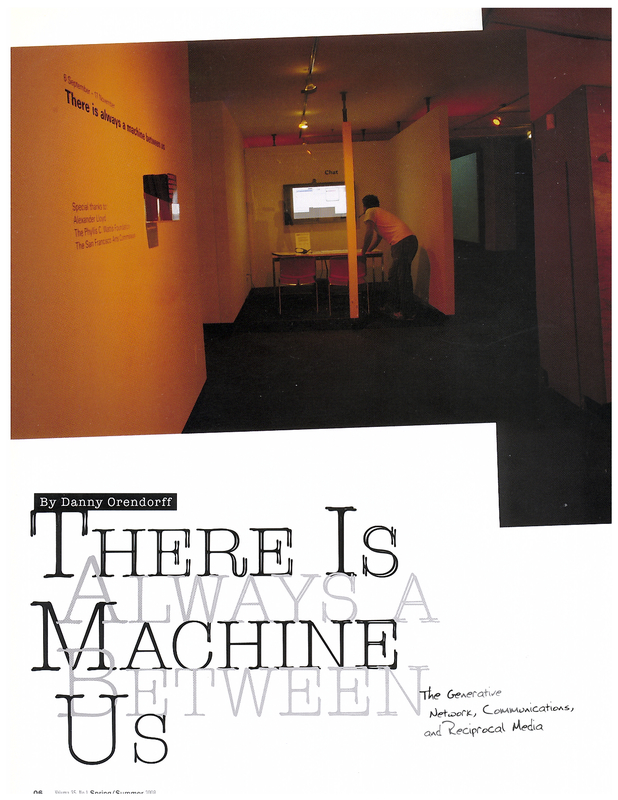 In conjunction with the exhibition There is always a machine between us…, I composed an expansive exhibition essay that doubled as the cover story for the Spring/Summer 2008 issue of Camerawork: A Journal of Photographic Arts. 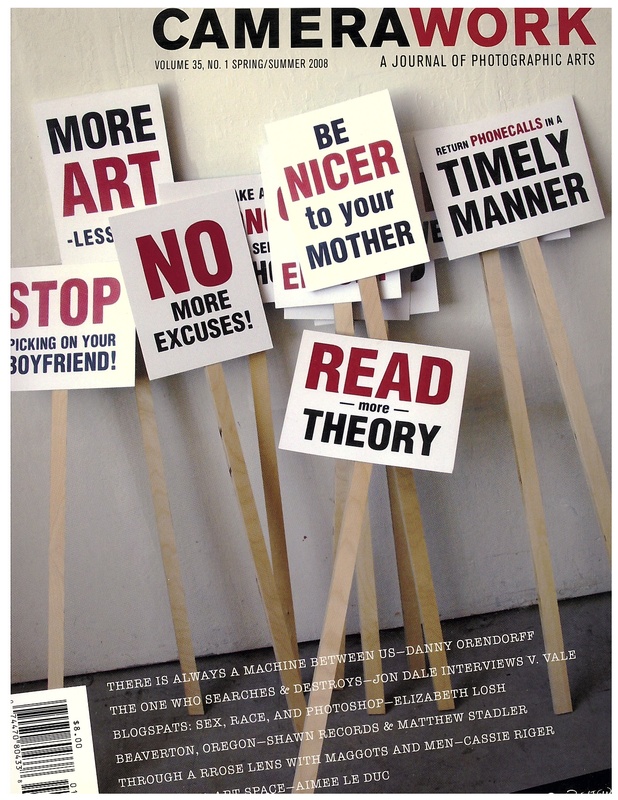 In it, I briefly provide an overview of the use of telecommunication technologies within contemporary art production from the mid 1960s to today, and offer some ideas as to how such technology influences what today we consider socially engaged art. Furthermore, I discuss the curatorial conceptualization of the exhibition and detail each of the artworks appearing in the show.